We monitor customer traffic patterns and site usage to help us to develop the design and layout of the website. Personal details may be for purposes such as notifying you of GAA news, Events, Blitzes, Camps, Games, Coaching Courses, Workshops, Fixtures, Tickets, Merchandising and Player information which we think may be of interest to you. Rebel Og Coaching will not put any information about you on general release nor will it sell such information to organizations not associated with Cork GAA. We may employ other companies and individuals to perform functions on our behalf such as delivering packages, analysing data, providing marketing assistance and designing and operating our website. Such companies and individuals have access to your personal information for the purpose of carrying out this work only. These enterprises will not use your data for any other purpose. Under no circumstances will these enterprises use any additional data about you to which they are party for any other purposes. Many of the cookies we use are only set if you are a registered rebelogcoaching.com user (so you don’t have to log in every time, for example), while others are set whenever you visit one of our websites, irrespective of whether you have an account. Disclaimer Rebel Og Coaching recognises that we have legal obligations in terms of the collection and use of personal data made available to us. This website is provided on an “AS IS” basis and Rebel Og Coaching excludes all warranties or representations of any kind with respect to this website or its contents. In particular, Rebel Og Coaching does not warrant or represent that the information contained on this website is accurate or up to date. The contents of this website are designed to comply with Irish law and Rebel Og Coaching cannot be held responsible for non-compliance with any local advertising or other laws in relation to this website or its contents. 1.1 You must use www.rebelogcoaching.com in a responsible manner. 1.2 If you are under 18 years of age, you must obtain a parent/guardian’s consent prior to using www.rebelogcoaching.com. 3.1 Much of the information or advertising related to products, services provided on www.rebelogcoaching.com are the products, services and information of parties other than www.rebelogcoaching.com (“third parties”). 3.3 We have not checked the accuracy or completeness of the information or the suitability or quality of the information, products and services of the third parties. You must make your own enquiries with the relevant third party supplier direct before relying on the third party information or entering into a transaction in relation to the third party products and services supplied via www.rebelogcoaching.com You should check with the third party supplier whether there are additional charges and terms which may apply. 3.4 We may receive fees and/or commissions from third parties for goods and services of such third parties displayed or made available on www.rebelogcoaching.com or accessible through a hyperlink on www.rebelogcoaching.com You acknowledge and consent to us receiving the fees. 4.1 All prices displayed and products and services offered to be supplied are subject to change without notice. 5.1 For security reasons we may require you to re-authenticate yourself from time to time, for example after a period of inactivity on the connection between your browser and www.rebelogcoaching.com servers. We are not responsible for any information you may lose if www.rebelogcoaching.com servers terminate your browser session due to prolonged periods of inactivity between your browser and www.rebelogcoaching.com servers. 6.1 You indemnify us and our officers, employees, agents and related bodies corporate from and against all actions, claims, suits, demands, damages, liabilities, costs or expenses arising out of or in any way connected to the use of www.rebelogcoaching.com by you or someone using your name and password. 7.1 When you send us any feedback, suggestions, ideas or other materials in relation to or via www.rebelogcoaching.com, you agree that www.rebelogcoaching.com can use, reproduce, publish, modify, adapt and transmit them to others free of charge and without restriction, subject to our obligations in our Privacy Statement. By default WordPress does not collect any personal data about visitors, and only collects the data shown on the User Profile screen from registered users. However some plugins may collect personal data. 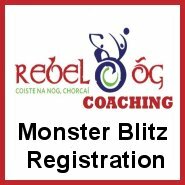 You may use our Google Doc registration forms for various events such as entering teams for a blitz, registering players for camps, registering teams for competitions, coaching sessions etc. This information is only used by the coaches running those events, to keep track of team/player numbers, attendance and registration. They are not used for any other purpose and once the event is complete this information is deleated and removed from our database. 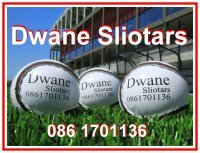 To send you emails, we use the name and email address you provide us. Our site also logs the IP address you used when you signed up for the service to prevent abuse of the system. This website can send emails through the MailPoet sending service. This service allows us to track opens and clicks on our emails. We use this information to improve the content of our newsletters. No identifiable information is otherwise tracked outside this website except for the email address. You can at any time unsubscribe from our newsletters and all your information is removed from our data base. We update our galleries and news items regularly and we use images, video and audio clips taken at these events which are supplied by clubs, photographers, schools, parents and our own staff. We require that permission is granted by whoever is in charge of that group or team mentors/teachers/coaches etc to take these photos/video and or audio clips. All uploaded files photos/video clips are publicly accessible. We upload images/Video clips to the website and some images may have embedded location data (EXIF GPS) included. Please be aware that visitors to the website can download and extract any location data from images on the website. If you wish to have any image removed please contact us and we will remove those images from our website.